MANILA -- Task Force Bangon Marawi (TFBM) chairperson and housing czar, Eduardo del Rosario, on Friday assured the public that there is "no delay" in the target completion of the rehabilitation of Marawi City. In a press briefing, del Rosario said the government is still "on target" with respect to its timetable for completion of the rebuilding of the war-torn city by December 2021, noting that it will be completed within the term of President Rodrigo R. Duterte. "We have been hearing some critics that we are somewhat delayed in the rehabilitation of Marawi City. With regards to our timetable of completion, there is no delay," he said. 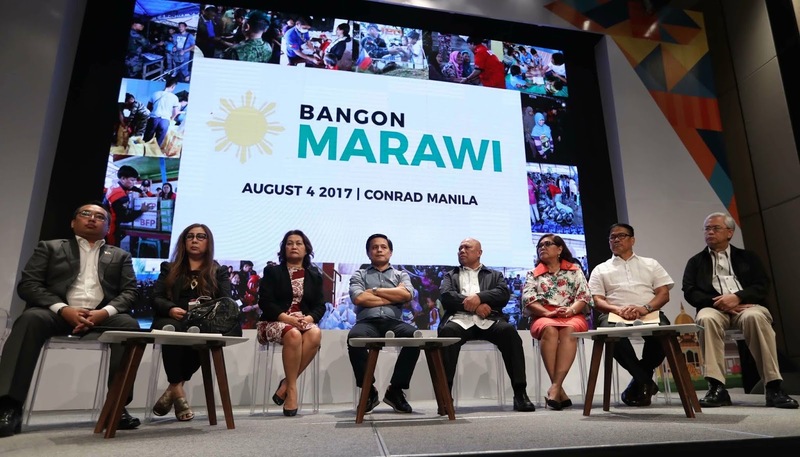 "We are still confident that by December of 2021, the rehabilitation of Marawi City will be almost complete," he added. Del Rosario said early recovery activities will take about six months to one year, while actual recovery will commence a year after. "Early recovery interventions on relief assistance, livelihood, health and sanitation, education, peace-building, shelter, and so forth were all undertaken from six months to one year," he said. The task force, he said, is expected to complete the clearing of unexploded explosive ordnance by August and debris management by September. Meanwhile, road construction will commence this July. He further noted that in cleared areas, residents will be allowed to repair their houses as early as July. "Those whose houses were slightly damaged, we will allow them to rebuild, provided they will secure building or repair permit from the city government," he said. Del Rosario said that rehabilitation of Marawi City will be known as the “R.I.S.E. plan of the Marawi Rehabilitation”. R.I.S.E. stands for resiliency, identity, sustainability, and evolution.